We bring to our clients Nylon Inserted Rubber Sheets With middle pressure, strong tense and small distortion. All insertion rubber sheets can be smooth surface, rough surface, cloth marks surface, twin-smooth surface, twin-cloth marks surface to satisfy the requirements of the customers. Punching seals and rings, which are applied to light conveying strap and work in the surroundings with high strength requirements. 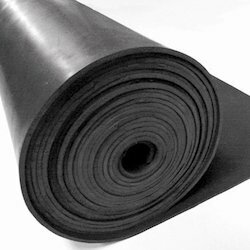 Looking for Nylon Inserted Rubber Sheets ?